Richard Defendorf of GreenBuildingAvdisor.com put together a little follow up on the 1st year performance of the Passive House in the Woods project in Hudson, WI. 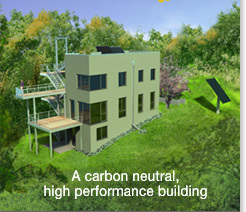 You can read the entire article after the jump: Passive House in the Woods Goes Energy-Positive. The Passive House in the Woods project was published in a new book by Chris Uffelen called: “Passive Houses – energy efficient homes” that can now be pre-ordered on Amazon.com.